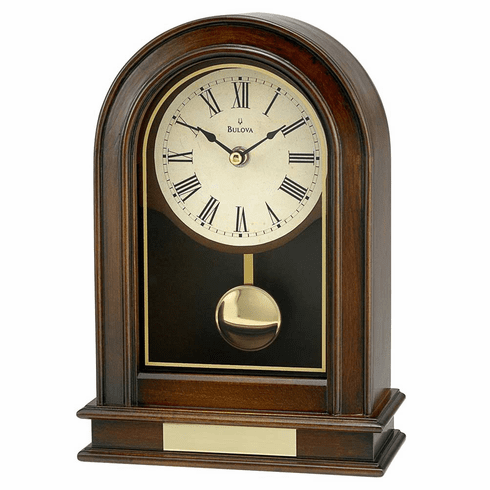 This mantel clock features a solid wood and wood veneer case with a walnut finish. Decorative screened glass. Brass-finish metal pendulum. 3" x .5" engraving plate included. Dimensions: H: 10", W: 7", D: 3.25"